In 2013, college bands can easily distribute and preserve their music using the Internet. But what about bands who jammed when the Internet was mere science fiction? CollegeBand, a new record label dedicated to restoring and promoting long-dormant music from past college artists, aims to fill that gap. Reed Seerman, founder and CEO of CollegeBand, conceived of the idea in 2008, but he didn't start working on it until 2011. "The ultimate goal of the company," he says, "is to pull up this lost history of music." Any music produced while one of the musicians was attending college is eligible for CollegeBand. Each band receives a comprehensive profile on the label's website, with the possibility of distribution on popular platforms such as Spotify, Amazon and iTunes. 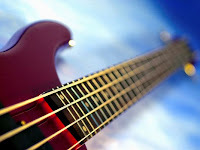 Interested bands can apply for registration at the label's website, and all services are free of charge for the artists. Seerman says he was inspired to create this unprecedented platform after working in music marketing and watching young artists with major marketing campaigns fail to generate sales or YouTube views.